People who absolutely love their pets will definitely enjoy Rachael Ray’s suggestions as far as meals and treats are concerned. 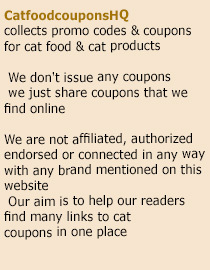 Nutrish is currently offering fabulous discounts on cat and dog products. All you have to do is to try any of the featured items to enjoy the exciting price off. The dog products included in the deal are the Nutrish dry dog food, which is offered at $2 off; Naturally Delish wet dog food, which is offered with a Buy 2, Get 1 Free deal; and Zero Gain at $4 off. Furthermore, all Nutrish dog treats are available at $1.50 off. For cats, the two products offered at a discount are the Nutrish Natural dry food for cats, which is tagged at $2 off and another coupon will get you $4 off Zero Grain™ Whitefish & Potato Recipe cat food. To enjoy any of these items, simply select the product that you would like to avail of and complete the attached form. Once done, you will be able to download the coupon. Just head for any store to redeem it. Customers may only choose one product coupon to download. Nutrish is a pet food brand endorsed by no other than Rachael Ray. And it is definitely one of the best buys in the market. Now is the perfect time to make the switch – visit the coupons page! This entry was posted in Rachael Ray. Bookmark the permalink. The right size chunks of dry Cat Food. Hi, thank you for letting me know. I just updated the links, please check again.